Backed by the qualified credentials, we are engaged in the formulation of Laxative Tablets. The Biolax tablet is 100% Herbal formulation. These Laxative Tablets are much recommended for constipation & bowl regulation, as they give guaranteed relief. 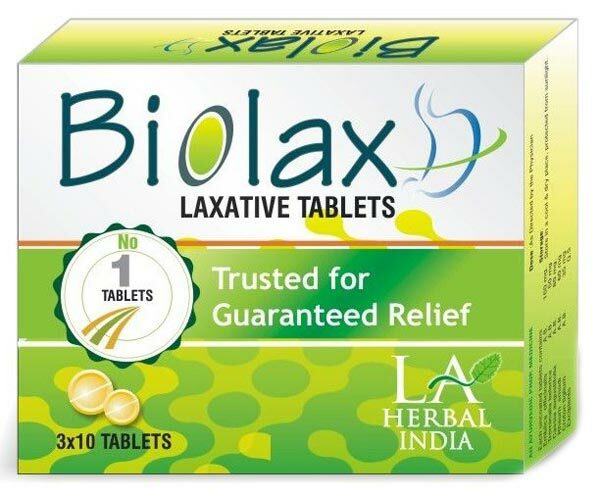 We provide the Laxative Tablets to the clients at reasonable price.